As I began writing my first blog entry, I asked myself what the heck I was doing. Would this simply be another twitter account or perhaps the ancient Facebook page? Was I simply just jumping into another boat of social media? As I scrolled over my thoughts and wondered this (a few cups of Earl Grey tea helped jump kick the process)…I realized what I was really doing. I was stepping foot into terrifying territory. I was officially proclaiming myself to the world as a twenty first century writer, who was unafraid to use the worldwide web in order to voice my writings. Yet, as I thought about it, the fear began to creep slowly and softly into my mind. The monster under the bed was hastily rushing towards all my thoughts and clearly making itself visible. I was afraid. Everyone will encounter a decision that will lead him or her to a journey or adventure some time in his or her life…at least, I hope. Percy Jackson had to realize that his pen was not really just a pen, but also a tool that would lead him into several adventures. Alice had to make up her mind concerning whether she would daydream in a tree or see what that white rabbit was up to. Even King Arthur had to make the decision of staying where he was, inside the safety of his kingdom, or facing the perilous “monsters under his bed”. Well, I’ve not a pen/ sword hidden anywhere (although that’s up for discussion) and I’m not technically the head of a round table yet, but I do have some decisions in life to make. As you can probably guess, one of them is this blog. You could compare me to King Arthur because I am in fact leaving the comfort of my blogless life and am departing into the perilous cyber universe of blog writing. 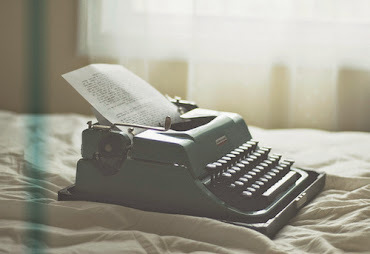 Blog writers who have seen, done, and have probably written more than I have. But, all have those intimidating factors appear when we encounter any adventure. Bilbo Baggins certainly didn’t complete his journey without an intimidating dragon breathing down his neck (no overstatement intended). So, if this is one of my many adventures I will have to decide on, then I should consider myself lucky, since I haven’t read of a “blogger’s death by dragon” yet. I could be intimidated by the soaring bloggers and the oh-so-many cyber writers, but I won’t be. I will look at blogging in the face and with as much guff and gusto as Bilbo, Arthur, and Alice, I will start adventuring. Also, because I am a fan of quotes ( you may see my obsessive tendencies with quotes very soon), I couldn’t think of a better way to end this first post than with one of my favorite quotes—“ “People wonder why the novel is the most popular form of literature; people wonder why it is read more than books of science or books of metaphysics. The reason is very simple; it is merely that the novel is more true than they are.” G.K. Chesterton wrote this and I’m so very glad he did. Now, to set things straight, this blog is not going to be a novel, yet as Chesterton wrote, I hope that this blog has a similar impact as the novel does. I don’t want this blog to be a confusing set of writings that makes readers strain their eyes. Rather, picture this blog as me meeting you at an authentic little café in France. We’re strangers who have somehow met each other. We both order a classic cup of something or other and then we begin to talk. We talk of life, culture, religion, politics, and everything that constitutes this majestic and complex universe we live in. You will be honest with your thoughts, as I will with mine. We will share words. That’s why I want this blog…to simply conversate with my readers. Welcome to my blog--"Living with Freckles". You will see and hear how I live…with my freckles…& words.